The world leader in business planning and management software has upgraded its “Start, Run & Grow Your Business” entrepreneurial curriculum package, offering students and instructors real-time online collaboration via LivePlan software and introducing a new, proprietary coursebook to complement the dynamic, interactive entrepreneurship course. Palo Alto Software announced today a series of upgrades to its “Start, Run & Grow Your Business” curriculum package. The curriculum is the onlyASBDC-certified (Association for Small Business Development Centers) offering on the market for colleges, universities, and entrepreneurial programs. 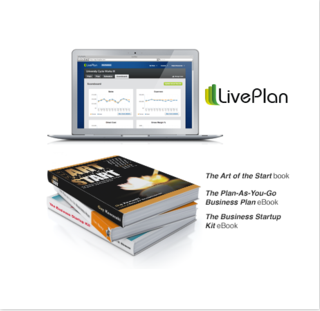 Enhancements include LivePlan, a new online business planning and tracking tool and the addition of a proprietary new reference guide, The Business Startup Kit, written by USA Today Senior Small Business Columnist Steven D. Strauss specifically for use with the curriculum. The “Start, Run & Grow Your Business” curriculum now offers students and instructors valuable new communications, pitching, planning, and financial management tools via a transition to the real-time, cloud-based business plan, pitch, and management software, LivePlan. The “Start, Run & Grow Your Business” curriculum package is free to any educators teaching entrepreneurs anywhere in the world. The Business Startup Kit eBook by USA Today Senior Small Business Columnist Steven D. Strauss was written exclusively for use with this curriculum and is dedicated to helping entrepreneurs succeed with a simple model of business success that is easily duplicated. A wealth of materials to teach the course including session notes, background, additional instructions, video training, and downloadable PowerPoint slide presentations. It’s all online and customizable to meet each instructor’s individual needs. The “Start, Run & Grow Your Business” curriculum package is free to educators worldwide. Visit Palo Alto Software’s resource page to request access here.